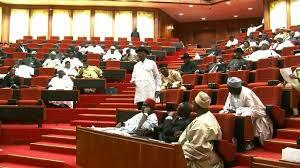 The Nigerian Police Force has concluded its investigation into allegation that the Senate Standing order used to inaugurate the 8th National assembly is a forged document. Punch newspaper reports that the Police has recommended the prosecution of individuals who masterminded the forgery. It is important to note that it was the Standing order which ensured the emergence of Senator Bukola Saraki as well as Senator Ike Ekweremadu as Senate President and Deputy Senate President respectively. Barely two months into its inauguration, the 8th national Assembly has remained deadlocked as different factions struggle for supremacy.